Earlier this year, it seemed a commuter rail line could really happen for southern New Hampshire. 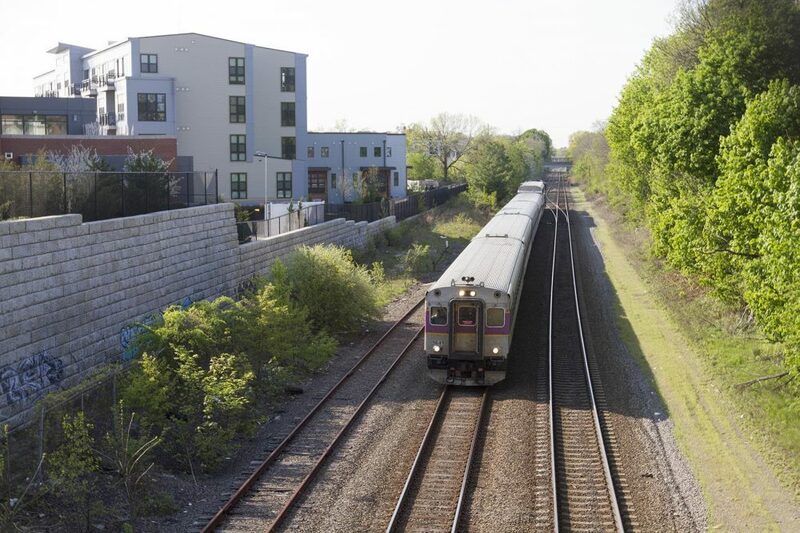 Polling had shown 74 percent of residents support it, and lawmakers were voting on whether to use $4 million in federal dollars to connect Boston’s commuter rail to Nashua and Manchester. The funds would cover the cost of permitting and preliminary engineering. But on March 10, members of the House voted not to proceed with the commuter rail line. “The rail project will require about $300 million of construction projects for the state will be responsible for bonding of about $60 million,” testified state Rep. Neal Kurk, before the House voted. The proposed line was stymied by a mere 12 votes out of the 335 House members who weighed in. Rail advocates came up short again two months later in the Senate -- by only two votes. Those are slim margins, which mean the outcome of next week’s state elections could determine whether a commuter rail line in New Hampshire can get back on track. Gray Chynoweth is an executive at SilverTech in Manchester and a prominent voice in the city’s tech scene. He and other rail advocates say commuter rail to Manchester would help expand the pool of educated workers for tech companies like his. Often, the issue falls along party lines. Almost every Democrat in the House and Senate voted for the passenger rail project earlier this year. But while the majority of Republicans have opposed the project, on that side of the aisle, the issue gets a lot more complicated. For example, one of the few Republicans who voted for it was from Nashua, where businesses and homeowners stand to benefit directly from an investment in rail. Joe Duarte, on the other hand, is a Republican running for state Senate in a district that includes Manchester. It’s a tight race there. But for him, the proposal just doesn’t add up. His opponent, Democrat Scott McGilvray, supports the project. In other districts farther from Manchester, Republican candidates say their constituents would have to pick up the tab for an expanded rail line, but wouldn’t get any of the benefits. However, residents on the Seacoast are also not likely to drive to Nashua to get on a train. Yet both candidates running for Senate there support rail. Republican Dan Innis and his Democratic opponent Tom Sherman think the rail project would be good for the entire state. The future of rail in southern New Hampshire will depend on other races on the Nov. 8 ballot, too. The next governor would have to sign any rail proposal that passes the House and Senate. Republican Chris Sununu clearly opposes rail, while Democrat Colin Van Ostern is an outspoken advocate. And then, the Executive Council has to green-light any expenditure, including federal grants. How will those votes shake out? We’ll see on Election Day. This story was originally published by New Hampshire Public Radio and comes via the New England News Collaborative. This segment aired on November 1, 2016.